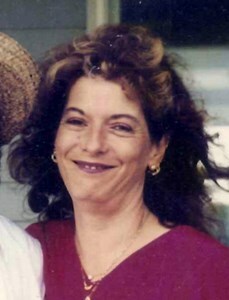 Newcomer Family Obituaries - Susan Steinmiller 1953 - 2019 - Newcomer Cremations, Funerals & Receptions. Susan Steinmiller, age 66, passed away on February 6, 2019. She was born on January 8, 1953 in Toledo, Ohio. Left to cherish her memory is her loving husband, Mike; children, Meredith Steinmiller, Kelsey (Brittany) Noll, Darby Noll, Deana Steinmiller, Sara (Randy) Gueli and many grandchildren. Susan was preceded in death by her parents, Jane and Carl Hoffman; son, Ryan Noll and brother, Thomas Hoffman. The family will receive guests on Monday, February 11, 2019 from 4-7:00 p.m. at Newcomer Funeral Home – SW Chapel, 4752 Heatherdowns Blvd., Toledo (419-381-1900). The Funeral Service will begin at 7:00 p.m.
To leave condolences for Susan's Family, please share a memory. Add your memories to the guest book of Susan Steinmiller. So sorry for your loss. Our prayers for you and your family. So very sorry for the loss of a beautiful lady for all of her family. Susan was always an inspiration to love and honor for all of us. What goodness of heart she shared through a very difficult journey. We all love you and my God keep you close. We will miss you, Susan. You have earned this sweet peace, darlin! Til we see you again, may heaven surround you with glorious joy as you reunite with those who’ve gone before. May your family and other friends and loved ones find assurance in the promise of life eternal. We love you, hippie chick... forever! Sending lots of hugs, thoughts, and prayers. Rest In Peace my dear lifelong friend. Many wonderful childhood memories I’ll always remember. You were always my friend. Thank you Sue. We are so very sorry for your families loss. Our thoughts are with you all! My deepest condolences on the loss of your beautiful & kind mother.